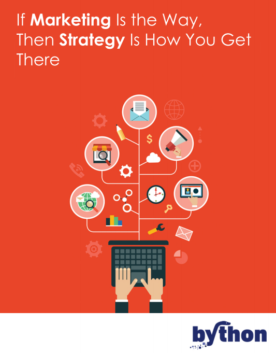 Strategy is one of the most used words in business that is often used incorrectly or excessively. When it comes to B2B marketing, however, an organization cannot expect to be effective or successful if it does not have a serious and specific strategy for how it will promote and sell its products or services. With the daily demands and constant changes that come with B2B marketing, it can be easy for marketers to neglect one of the most important parts of their job. But as the popular saying goes, "Failing to plan is planning to fail." One of the primary reasons organizations fail is because they do not launch with a defined actionable marketing strategy in place. The absence of such a strategy will not only be detrimental to the marketing team; but in the long run, it will also prove to be detrimental to the organization as a whole. Developing a B2B marketing strategy that is customized to fit an organization's needs will help marketers deliver higher results, better monitor and measure performance metrics, and enable them to give executives at the top of their organization accurate data that will empower them to make more informed decisions. WHY A MARKETING STRATEGY MATTERS? With so many different marketing products and technologies out there and more seeming to be introduced every day, having a strategy will keep B2B marketers focused on what to say about their organization, how they should say it, when they should say it, to whom they should say it, and through which medium it should be said. 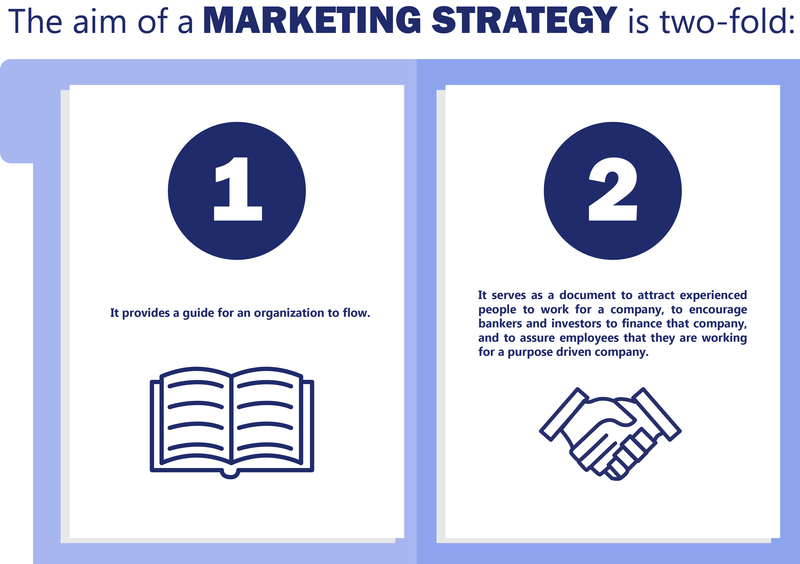 Once B2B marketers have defined their organization's marketing strategy, they must then develop a plan based upon that strategy. The plan should lay out specific goals that need to be reached in order for the strategy to be executed. While the goals should be challenging, they should also be realistic and measurable. For example, a goal to increase brand awareness by 50% in 3 months is a challenging goal, but it is realistic enough to be achieved and it is also measurable (e.g. How many syndicated articles were authored by the marketing team's content writer? Which of the organization's products or services were spotlighted in a news outlet? Did a social media influencer or popular blogger mention the organization on their profiles?). There must be a fine balance when it comes to setting B2B marketing goals. If a goal is too challenging, team members will be easily frustrated and quick to give up because they find the goal impossible to achieve. If a goal is not challenging enough, team members will become demotivated and too bored to continue to work towards the goal. Likewise, if progress in reaching a goal cannot be measured, team members will think their efforts are in vain. By helping you define a marketing strategy, develop a plan to implement that strategy, and then execute the strategy effectively, an organization is much more likely to experience greater success and sustain competitive advantage over a long period. Develop a strategic marketing plan to help your company reach its goals. Stay on track with dedicated marketing management. Establish a brand strategy that creates the image you want your company to have. Market research that helps you to understand your target audience. We bring you the latest offerings that will generate growth and sustain customers.